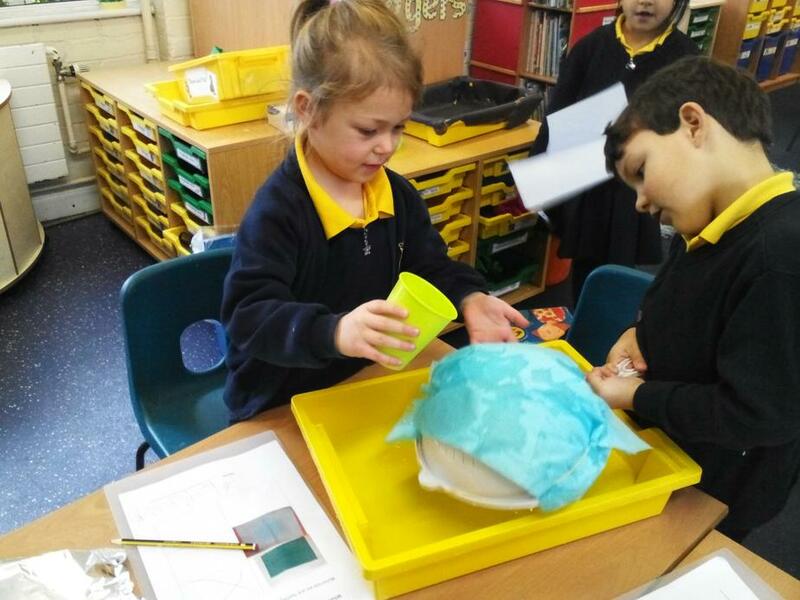 Giant class have been continuing to learn lots of different facts about the planets and space. 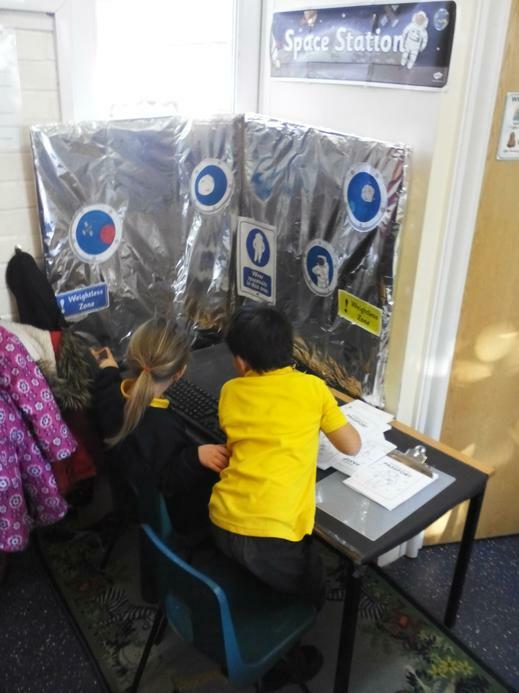 They have enjoyed pretending to be astronauts like Tim Peake inside our 'Space Station' in the classroom. We have also been busy creating our own paper mâché solar system! The planets have been created to scale and painted carefully. We are looking forward to getting our solar system hanging and in action! We were also working as scientist this week! We had a letter from Baby Bear asking for our help. 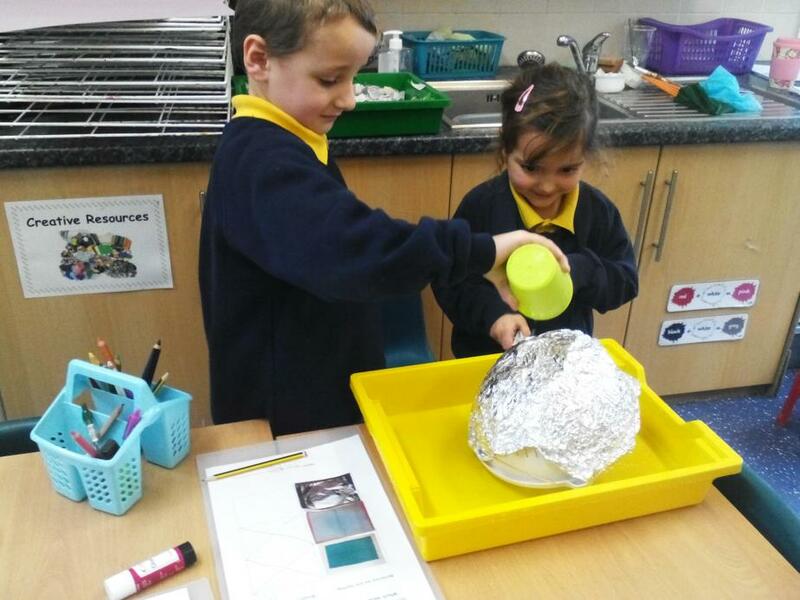 He needed us to test different materials to find the best material to cover his space helmet and keep him dry when he's on his next adventure in space! 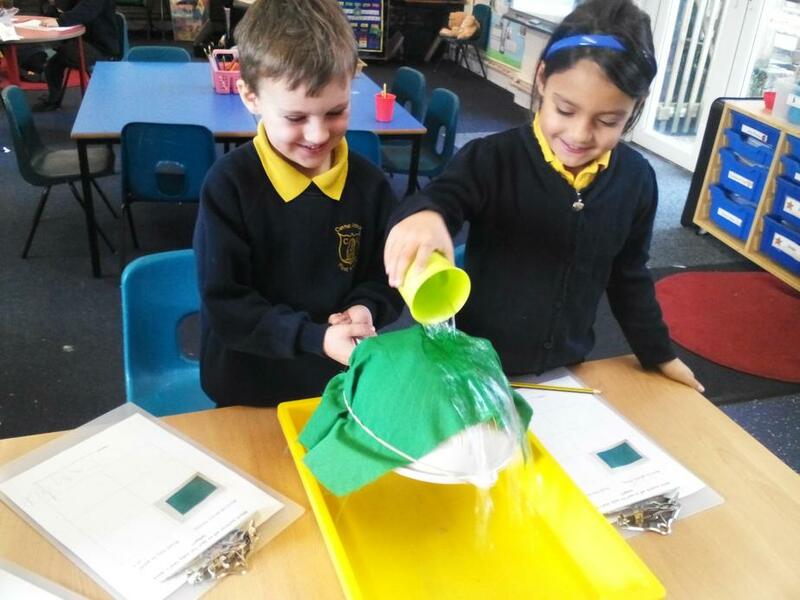 We tested 3 different materials, making our own predictions and thinking about how to make it a fair test. We recorded our results and explained why the material was the best. We have passed on our findings to Baby Bear so he can start revamping his helmet! Great investigating Giants! We have been continuing to practise our wake and shake 'Make some noise!' dance for the DASP dance showcase on the 4th of February. Please follow the link from last week and have a practise at home! I'd like to say a big well done to everyone who has been practising their tricky word rockets at home. I have been so impressed with children already needing new rockets! Keep up the great work!